It looks like the wireless smart speaker wars are continuing to heat up with Sony introducing its own wireless smart speaker. 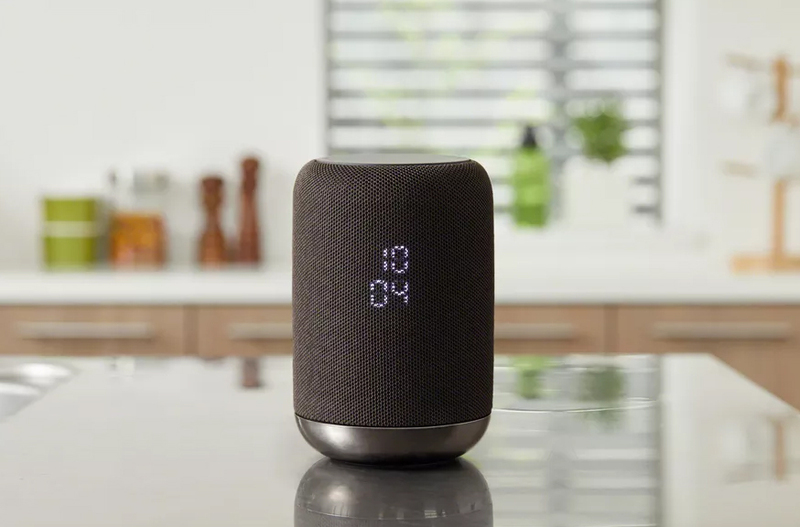 Dubbed the LF-S50G, this new speaker has the Google Assistant built in and looks suspiciously like Apple's HomePod (but at a much lower cost). Like the Google Home, users can say the "OK, Google" phrase to activate the assistant. From there, you can issue the usual commands for music playback, unit conversion, recipes, basic trivia and more. Design-wise, the HomePod similarities are clear. A grey or black speaker mesh encircles the entire device while the sides have an LED clock display. The top contains various sensors that allow gestures for playback and volume control if using your voice isn't feasible. The unit itself is a 360-degree, vertical two-way facing system that includes a dedicated subwoofer for bass along with an omnidirectional two-stage diffuser that provides "maximum sound coverage" in an average-sized room. The LF-S50G can pair over Bluetooth, NFC or Wi-Fi and supports multi-room controls for audio. Users will also be able to control other smart home devices including wireless speakers that have an integrated Chromecast. Sony is positioning the LF-S50G as a kitchen assistant and touts its superior audio as the primary differentiation from Google Home. Of course, other major players in the game such as Amazon and Apple will offer significant competition. However, given the LF-S50G's price tag of $199, it may just sway over people who aren't keen to live in Apple's ecosystem or prefer the intelligence of Google over Amazon. Sony's new smart home speaker will go on sale this October.